On the bright side, the text is very well organized, tight, well written, without spelling errors. It describes thoroughly all the options available in each screen shot. There are also some tips and hints about performance tuning, such as using web cache. Its source code is available online as well. 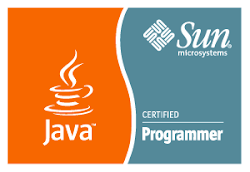 "Oracle Application Server 10g: J2EE Deployment and Administration focuses on the latest version of Oracle's fully J2EE-certified application server (previously called Oracle9iAS). Oracle Corp. is aggressively attacking this market with a new lost-cost version of the server, as well as a program to move BEA customers onto Oracle free of charge. Adoption interest is growing rapidly amidst favorable reports regarding performance and reliability." All in all, the book might be of use to web administrators with old J2EE 1.3, already running servers. Today, its content is mostly deprecated, as OAS end of life is approaching.